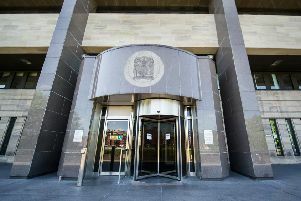 Police Scotland is appealing for information after a 64 year-old woman was robbed of her handbag in Glasgow last night. 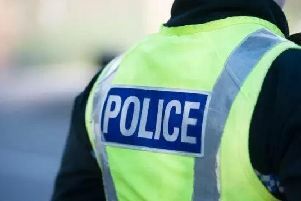 Around 8.40 pm on Wednesday, January 23 the woman was on Langside Avenue at Camphill Avenue when two men approached her, pushed her to the ground and grabbed her handbag. The two suspects, described as white, with one wearing a white top and dark blue jacket and the other a light coloured jacket, made off into Queens Park. The handbag was recovered nearby a short time later by Police. Detective Sergeant Juan Carlos Arias De Leon, Community Investigation Unit, said: “The woman did not require medical treatment but still received minor injuries and was shaken by the incident. “Officers managed to recover the woman’s belongings shortly afterwards however it is imperative we continue our investigation to find those responsible. This sort of crime will not be tolerated. Anyone with any information should contact Police via 101, quoting incident number 3608 of Tuesday 22 January 2019.